Each trinket dish has a meaningful sentiment printed on the dish and it's packaged in an adorable gift box. We love to give these dishes to our friends and family! 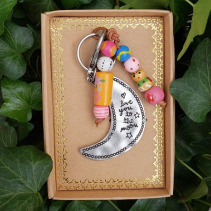 This is a gift that says it all. 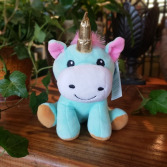 We can attach this to a fresh cut arrangement or send it in a gift bag! Fox, raccoon & pig. Unicorn is Sold Out! 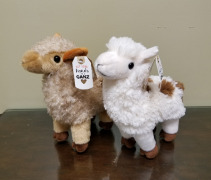 Searching for the perfect gift for Mom? 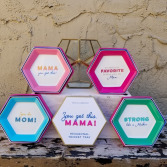 These trinket trays are the perfect gift for Mother's Day, a birthday or a new mom! Available in the 4 styles shown. Please specify which style you would like or call the shop to order! 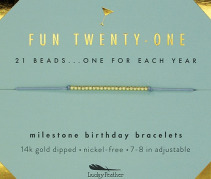 This dainty bracelet is the perfect way to celebrate any fun twenty one-year-old’s birthday. 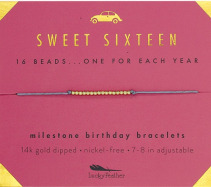 There are 21 beads, one for each remarkable year of life! Gift it or keep it, either way, it is a unique way to celebrate an important milestone. Each bead is dipped in 14k gold and nickel free. Flowers convey a message that cannot be put into words. 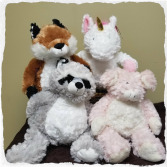 AUBURN FLOWERS & GIFTS of Auburn, AL provides a variety of fresh, fashionable floral designs to ensure that your gift is one of elegance and beauty. 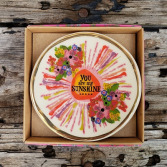 When you're looking for a unique hostess gift, token of appreciation or just a surprise to brighten someone's day, let AUBURN FLOWERS & GIFTS customize and deliver one of our many fun, decorative & luxury gifts! We create dazzling presentations that are sure to please for any gift-giving occasion. 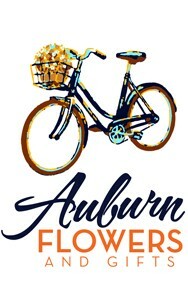 To get your custom gift items, come by and see AUBURN FLOWERS & GIFTS - your local Auburn, AL florist.